This entry was posted on 23rd November 2018 by Marci Cornett. 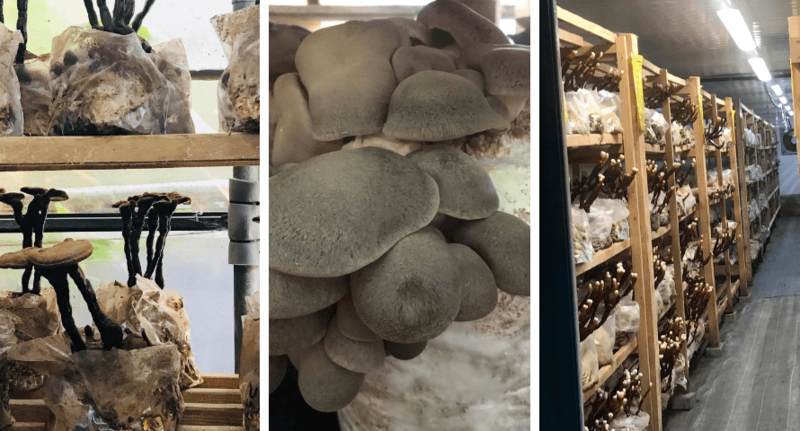 Hannah tells us all about Mycotherapy—the use of mushroom extracts and compounds as health-promoting agents—and her trip to Spain to visit a medicinal mushroom farm. And now you can find the farm's products at Organico! I love working in the world of natural health because exciting new horizons keep opening up. One such new horizon is Mycotherapy, or the use of the mushroom kingdom for its medicinal attributes. Mushrooms have been used for their health benefits for centuries in China and other Eastern countries, but here in Europe we are just discovering the full extent of their power. Having said that, the pharmaceutical world has known about the power of mushrooms for quite a while and approximately 40 per cent of the drugs you will find in your local Pharmacy have their origins in fungi. Penicillin for example, comes from a mold (molds are part of the mushroom kingdom), Lovastatin, a cholesterol treatment, was developed from oyster mushrooms, and the chemotherapy drug Taxol comes from a fungus that grows on the Yew tree. In order to learn more about the power of mushrooms, I went on an extraordinary trip to a medicinal mushroom farm in Spain. It was much more than a farm, it turned out that it was a centre where a team of medical doctors, scientists, health professionals, biologists and pharmacists are working together to grow the best medicinal mushrooms and study how they could benefit human health. I was shown around the most amazingly beautiful workplace I’ve ever seen! It was incredible. Nestled in the mountains in a mature chestnut forest, which is where the mushrooms are carefully grown, the centre has been developed to be sympathetic to the environment and beautiful to work in. The centre encompasses both research and development as well as mushroom farming and a processing plant where they concentrate the extracts into medicinal products. The company, which is called Hifas Da Terra, was started 15 years ago and the atmosphere in the centre was both gracious and serious, with a strong awareness of the importance of the work being conducted, which is appropriate since the main focus of the company is to produce complementary cancer therapies and research their effects on the reduction of chemotherapy and radiotherapy side effects as well as cancer survival rates. Hifas da Terra is working on a wide variety of fungal species, mushrooms such as Reishi (aka Ganoderma), which was once used by the Chinese Emperors and their families to prolong a healthy life (no one else was allowed to harvest them, on pain of death!). Lion’s Mane is another medicinal mushroom is being researched in relation to preventing diseases such as Alzheimer's and dementia as well as all manner of digestive complaints. Another interesting species is Agaricus Blazei, which is widely given to cancer patients in Japan alongside conventional treatments, as is Shiitake and a beautiful delicate frilly mushroom called Turkey Tail. We are still very much learning about Mycotherapy, it really is a whole new world to us. 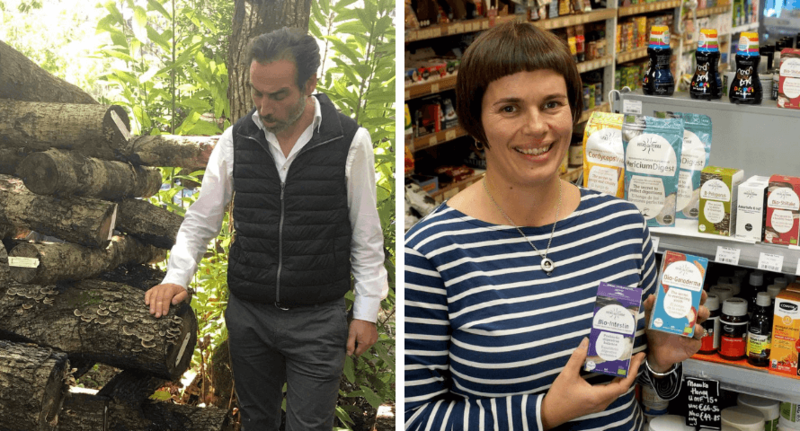 Call into our shop in Bantry to chat with us about the Hifas da Terra products or find them in our online shop. Hannah writes a monthly column (that's well worth keeping an eye out for) for West Cork people, so you might have seen the original version of this article here.